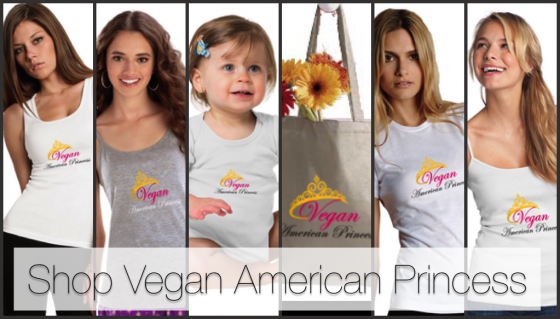 Vegan American Princess is proud to launch its new line of trademarked logo’d merchandise! Now you can wear the unique Vegan American Princess brand with style and passion on adorable, affordable and high quality tanks and T-shirts and more! We even have baby onesies, toddler sizes and tote bags! Please don’t forget to take advantage of our 15% discount offer! Use the Coupon Code SF5401 when checking out! What are you going to wear to your favorite vegan restaurant, your next vegan street fair or while you’re shopping for a pleather jacket? Hee-hee! Or let’s say you know a proud and beautiful person on a plant-based diet who might love to make people smile by wearing our logo! After all, Mother’s Day is coming soon! 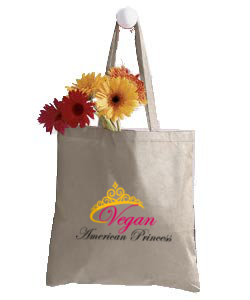 What would be more stylish that picking up flowers at the farmer’s market with your Vegan American Princess tote bag? A tank for a teenager, a fitted T-shirt for your friend, a onesie for a baby and a classic long-sleeved T for mom—- the perfect gift for birthdays, graduation, Mother’s Day and, especially, for no reason at all. Our shopping site has many styles to choose from but if there’s an item you’d like to see that isn’t displayed, it’s available! 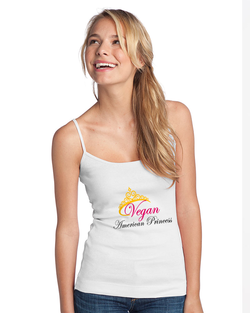 Sweatshirts, hoodies, youth sizes and a myriad of shirt colors….Just email us at veganamericanprincess@gmail.com and we’re more than happy to accommodate you. 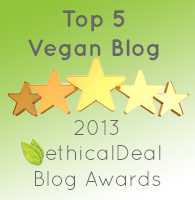 Share with all your friends and veggie-lovers! 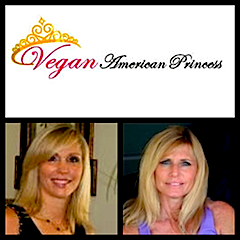 Let’s spread the word that we can all be Vegan American Princesses!